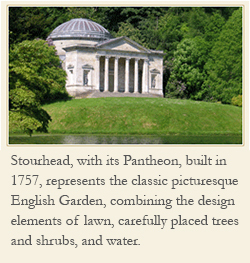 The change in landscape design that took place in England at the beginning of the eighteenth century has defined the English garden ever since. It was at that time that wealthy aristocrats rejected the formal symmetrical landscape design popular in gardens like the gardens of Hampton Court. The extensive lawn became the signature look of the English garden. The design was called the natural style, and sometimes the picturesque, because it reflected the art form of the painted landscape. Serpentine walkways rather than straight were also an element in this new English garden style. 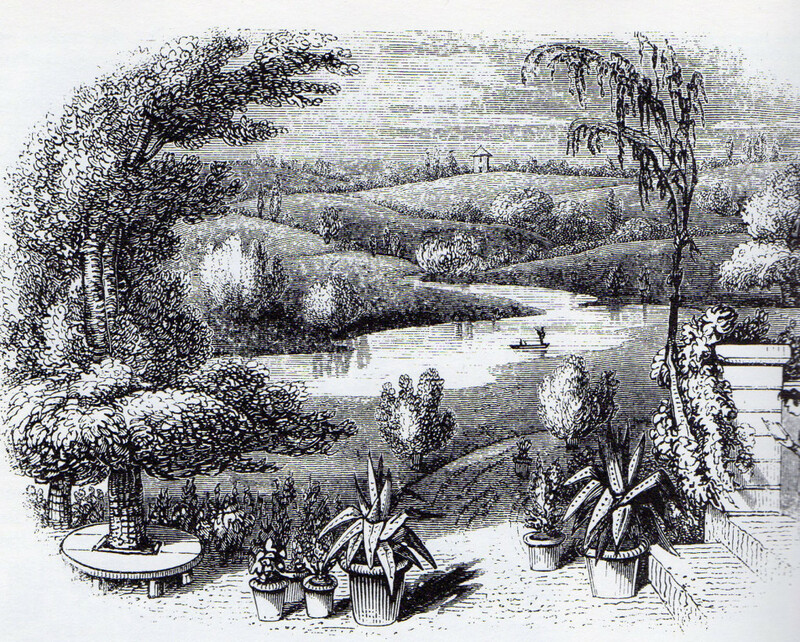 In his The Book of the Garden Mcintosh said: “Upon the introduction of the natural, English, or picturesque style into our gardens, a complete crusade was begun against every object or work of art met in grounds.” The new garden design initiated a revolution in the landscape. The English had not seen a landscape like this before 1700. Thereafter garden writers referred to it as the ‘modern’ landscape. McIntosh [above] preferred the natural style in his own work as you can see in the illustration he included in his book, written in 1853. 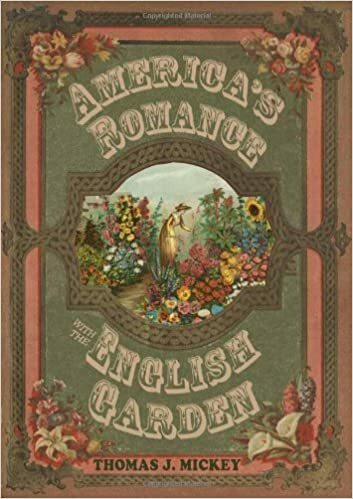 That natural English landscape contributed to the model of the home landscape included in essays and illustrations in the garden catalogs of the late nineteenth century. 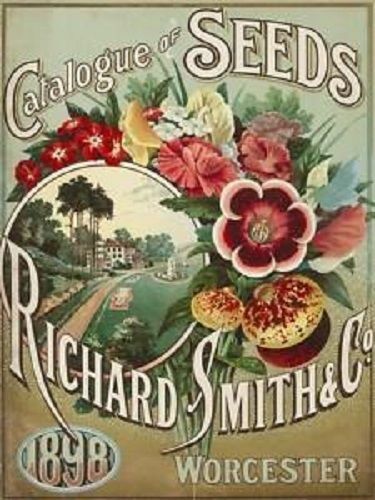 The 1898 catalog from the Richard Smtih Company in Worcester, Mass. (below) was an example of that style.